Susan is a regular columnist on our show, appearing the second week of each month. She’s taking some time off but we hope to have her back soon. 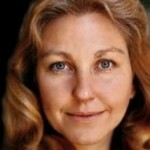 Susan Lindauer is an American antiwar activist and former U.S. Congressional staffer who was charged with “acting as an unregistered agent of a foreign government” and violating U.S. financial sanctions during the run-up to the 2003 invasion of Iraq. She was incarcerated in 2005 and released the next year after two judges ruled her mentally unfit to stand trial. The government dropped the prosecution in 2009.